Due to the rapid growth of the city, Richmond Hills has started an extensive expansion program for its roadways, increasing most of them from 2 lanes to 4 lanes. The stretch of road from Bayview Avenue to 19th Avenue was one of the first roads to be expanded. Starting in December 2015, the roadway underwent construction for urbanization and road widening, including off-street cycling facilities and enhanced environmental features. Because of the increase in impervious surfaces, the amount of runoff from a given storm was set to greatly increase. In order to combat this problem, engineers from the MMM Group selected the Vortechs stormwater treatment system from Contech. Vortechs is a hydrodynamic separator that combines swirl concentration and flow controls into a shallow treatment unit that traps and retains trash, debris, sediment, and hydrocarbons from stormwater runoff. Vortechs removes sediment down to 50 microns and is the ideal solution for projects that require a shallow treatment device due to groundwater, utility, or bedrock constraints. Because of the long stretch of the construction site, Contech was asked to provide nine units. Each Vortechs was sized to fit the site constraints where it was to be located and the amount of water it was required to treat. Because of the length of the construction project, the installation of the Vortechs units took place over a month’s time. 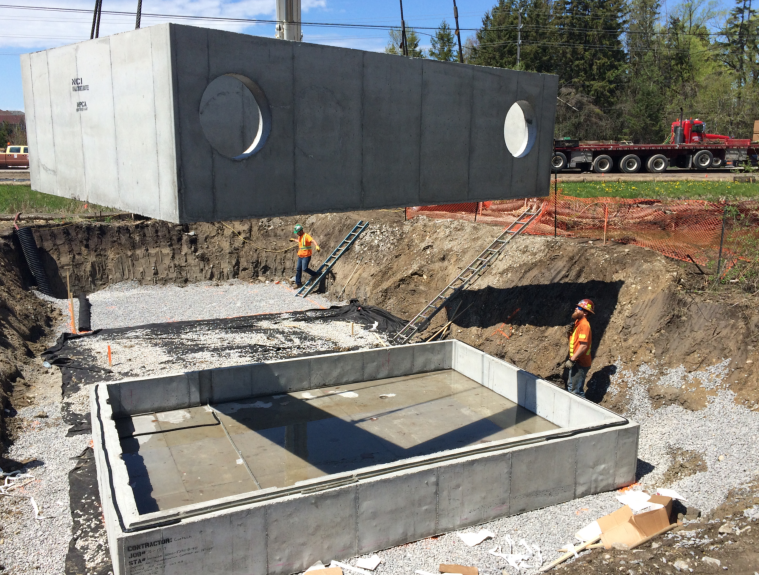 However, because of the layout of each of the units, the crew was able to easily lower the precast vaults into place and install all of the internals. 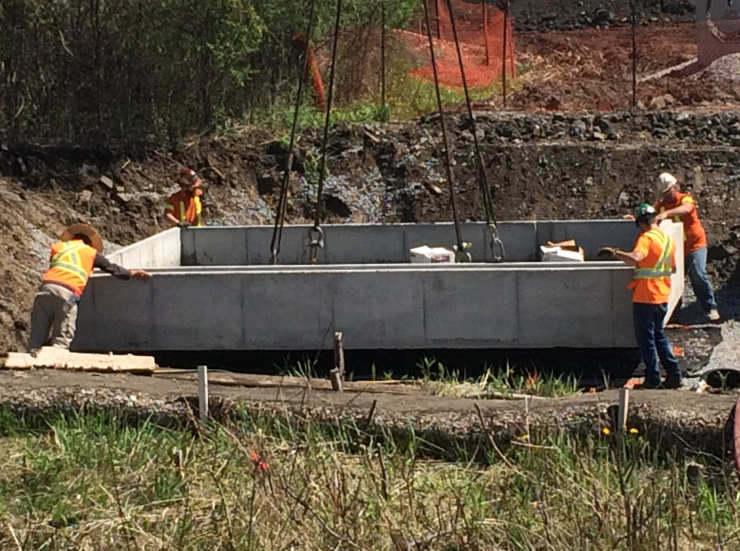 Contech assisted by having a Field Representative onsite to oversee and provide guidance on installation.